In November 2018, the French Supreme Court (Cour de Cassation) determined for the first time whether an employment contract existed between a deliveryman and Take Eat Easy, a company with a web platform and smartphone application that connects restaurants and customers. Bicycle couriers pick up the meals from local restaurants and deliver them to the customers that ordered them online. 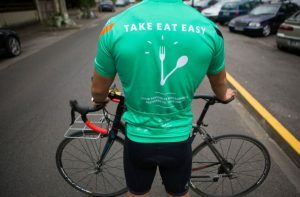 A delivery person alleged he was an employee of Take Eat Easy and brought an action before the French Labor Court (Conseil de Prud’hommes) to claim employment benefits. The French Labor Court and later the French Appeals Court (Cour d’Appel) ruled that no employment contract existed and that the delivery person was not an employee. The case was then appealed to the FrenchSupreme Court, which looked at two important factors. Read more. Currently, Italian Law provides for two very different ways of calculating severance payments for agents. The first method is governed by the Italian Civil Code and the second method is regulated by National Italian Economic Collective Agreements. the payment should be fair, considering the loss of commissions the agent will suffer. Paragraph 3 of Article 1751 also requires that a Judge will quantify the severance payment, considering the maximum amount possible established by the present article: Read more. There are two key questions to answer to establish if an executive has the right to bring a claim for breach of employment legislation: 1) Does the individual have rights under British legislation? 2) Can she enforce the rights in an Employment Tribunal? This is not as simple as it sounds. Whether the Employment Tribunal has jurisdiction to hear a claim depends on the statute in question and whether the right comes from English or European Union (EU) law. The following sections cover the position on some of the key claims within Great Britain. Unfair dismissal law generally provides that in order to dismiss an employee fairly, an employer must have a potentially fair reason to dismiss and provided they do, the dismissal must still be fair in the circumstances of the case. Potentially fair reasons to dismiss include redundancy, capability and conduct. Read more. If you are an expat executive working in Great Britain, at some point you will want to know the answers to two questions: When will the laws of England and Wales govern my contract, and when will the English courts have the power to hear my claim? The first issue is to consider what the applicable law of your contract is. This is often set out in your contract. Generally, the parties to a contract have the freedom to choose the applicable law, but in reality it is often the employer that chooses. That choice will often be the country’s laws that are most favourable and convenient to them. Read more.